When I gave birth to a son in 1994 there wasn’t any doubt in my mind what I would call him. 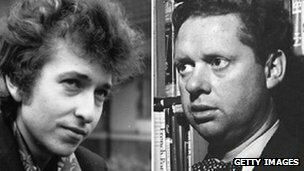 I had spent much of my life listening to Bob Dylan and reading poetry by Dylan Thomas; both Dylans had had a transformative influence on my life and naming my son after them was my homage. Dylan does now have sounds and a few words which he uses regularly and which, while not always clear, are familiar to people who know him. These words have changed over the years. Some words go underground for a while then reappear later and sometimes words disappear completely once an interest has passed. Dylan currently has a small but fairly stable core vocabulary which I’m hoping he will continue to use. I try and remind myself that this vocabulary has only been developing for a relatively few years. I remember exactly how old Dylan was when he first started trying to use speech because I wrote this poem about it (published in my second collection ‘The Bat Detector’). from silence to the uncertainty of words. circling my arm, fingers stroking the skin. into Dylan’s ribs: Elbow I say. my underarm: Hair, he says, Hair. good talking. But that’s a tree, Dylan – tree. 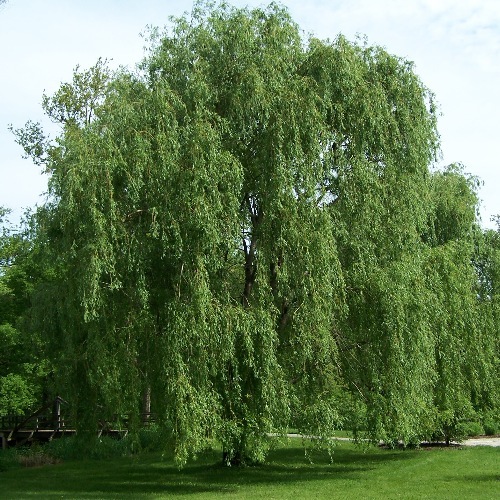 and reach to catch a waving branch of willow. gently: Hair, he says. Hair. When I first read the poem at a poetry event a friend and fellow poet told me that he understood Dylan’s description; there was a particular tree outside his office window, he said, which he had always thought of as having hair. This is a way of sharing the world which has remained with Dylan; years later, every spring, he tells me that the trees have grown their hair. Sensory awareness in autism is well-documented. In some cases perception is so heightened as to cause discomfort, but where sensory engagement with the world is possible it can become a rich way of knowing for the autistic person. Every day I watch Dylan explore the world through his senses, sniffing, tasting and stroking the things for which he has no name. I understand why the character in the Grossman novel might worry that being able to say the word ‘light’ may remove the child’s sensory engagement with the phenomenon of light. I remember thinking that by giving Dylan the word ‘leaves’ I was destroying his more beautiful and poetic belief that this was the tree’s hair. Understanding the essence of something through our senses – exploring the taste, smell and touch of a thing – is a way of knowing familiar to poets. The senses are often the starting point of writing and frequently form the muscle of a poem. A poet’s ability to write about something so the reader sees it fresh, as if for the first time, often comes from the poet’s use of their senses. In this respect, Dylan is a true poet. Can I really claim that a ‘non-verbal’ autistic adult is a poet because he understands the world through his senses? How can my son’s approach to language measure up against a poet’s? To explore this further I would have to identify what it is a poet does with language. A poet, I would suggest, is concerned with the musical and visual qualities of language. For me these are both essential; the sound patterns that language makes (the rhythm and rhyme) are important but the pictures which it forms (the imagery) are equally important. So let’s take these two uses of language – the creation of sound patterns and the drawing of pictures – as the basis of a poet’s craft. Against these criteria, is there poetry in autism? In a previous post I noted that strong sound patterns in language (for example nursery rhyme and chant) support the development of speech in babies and toddlers and I reflected on the ways in which, as a ‘non-verbal’ adult, my son also responds to these. Dylan’s enjoyment of the rhythm and rhyme in poetry and song is an appreciation as clear, I would hazard, as a poet’s. Perhaps it’s not so surprising that someone autistic and with limited (or no) speech would respond to patterns in the sound of language in the way that a poet does. But imagery? Aren’t autistic people supposed to find metaphor confusing? Are we not constantly told, as parents and carers of autistic children, to ensure that our language is literal? That we should never use phrases such as ‘I was on fire’ to convey a state of high motivation or passion, for example, or ‘he laughed his head off’ to describe extreme hilarity. Really? Well hadn’t someone better tell Dylan that trees grow leaves, not hair? While I appreciate that this might be different for others I have come to believe that the world my son inhabits is largely metaphorical. He doesn’t have a lot of speech, but the words Dylan does use to describe the world are often striking in their imagery. The trees that grow hair is an early and particularly striking example of his use of imagery, but there have been others over the years. Once, as I served pizza to him, he said: ‘cheese crying’. I was puzzled at the time, but made sense of the image later when he said it again as I was making cheese on toast. I suppose if you are observing the scientific process of change in the state of a substance when it is heated, and you don’t have the word ‘melt’, then ‘crying’ is a pretty accurate (as well as imaginative) substitution. The cheese has been crying! How good is that? Well, better than this poet could do, that’s for sure. Whenever I melt cheese now I think to myself ‘now the cheese must cry’. 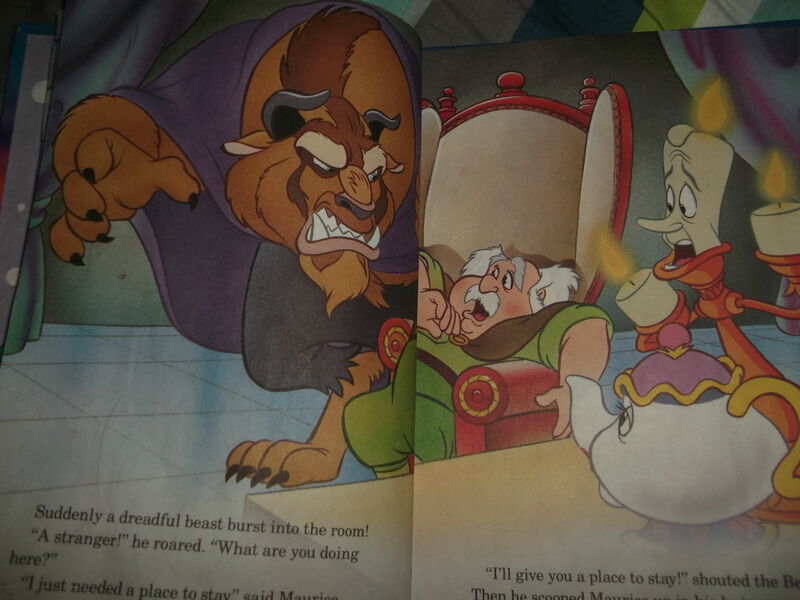 Another example of Dylan’s metaphors is from his much-loved ‘Beauty and the Beast’ story book. There is a picture of Beast which particularly interests Dylan. He points to Beast’s nose and says ‘po-tay’ (potato). When Dylan first started saying this I ignored him, thinking it random language. But one day I looked closely and could see exactly what he meant; while I would never have made the association myself, I can see that Beast’s nose does look just like someone stuck a potato on his face. I’d have been thrilled, when I was teaching English in school, if a pupil had described someone as having ‘a nose like a Jersey potato’. And then there’s the ippy. For many years Dylan would refer to ice cream as ‘ippy’. We had no idea why but Dylan was so certain that ice cream was ‘ippy’ that we all started calling it ippy, until it had effectively been renamed within the family. Then, one day (while naming Snow White and the Seven Dwarfs) I realised that ‘ippy’ was Dylan’s pronunciation of ‘happy’. And so I had found another metaphorical use of language by Dylan; a bowl of ice cream was a bowl of happiness. He didn’t know what ice cream was called, only the way it made him feel. This is really quite sophisticated; ‘happiness’ is an abstract concept and therefore very difficult to describe. Poets spend their time trying to convert abstract nouns (such as greed, envy, happiness, love) into concrete images. A poet would always try to avoid putting ‘happiness’ into a poem; instead, we would try to show happiness by embodying it in an object or action. If a pupil in school had given me a bowl of ice cream as an image for happiness I would have been thrilled. In fact, if I were still teaching poetry in school, I would take Dylan’s bowl of ippy and turn it into a fun activity for writing with children. What’s in a bowl of excitement? Orange jelly obviously! A bowl of anxiety? That could be spaghetti. And what about a plate of jealousy? Something green. Okra (slightly slimy ladies fingers)? Another example: the car showroom we drive past sometimes which Dylan always points at and says ‘Fire’. It took me many, many drive pasts before I realised that in the logo on the building Dylan could see the flames of a fire twisting and rising. In this example Dylan has made a metaphor from the visual appearance of something (the logo) rather than the way it makes him feel (the ice cream). Most of Dylan’s metaphors are based on his visual apprehension of the world: the showroom of fire, Beast’s potato nose, the crying cheese and the hairy trees are all language-pictures which Dylan has drawn by making visual comparisons between different objects or phenomena. Making comparisons and associations between two unconnected things is the basis of metaphor. Poets make unusual connections between things in order to shake the ordinary into new shape and make the extraordinary tangible; they help us to see and experience the world with fresh eyes. Making connections between things is also, however, one of the ways in which we order and make sense of the world. Perhaps Dylan’s metaphors are the result of his attempt to make sense of the world by grouping objects by their visual characteristics rather than by linguistic category? Whether or not our brains order the world linguistically or visually has been linked to theories of brain lateralisation. At some point in the 1990s I discovered the book by Betty Edwards, ‘Drawing on the Right Side of the Brain’. At the school I attended in the 1970s I was not allowed to take art beyond age 14; you could only enroll for the subject if your name was on a list pinned up in the school hall the week before subject choices were made. My name was not on the list. Now, as a lecturer in Education working with young adults hoping to become school teachers, I sometimes draw on my negative experience of art at school, and the impact on me of being told I couldn’t do it. I also tell my students, however, about the Betty Edwards book and how it transformed the way I thought about art and my ability to draw. Edwards’ thesis is that drawing requires us to get in touch with the right hemisphere of our brain, the part that is responsible for our perception of space and perspective. In order to draw well, we need to quieten down the left side of our brain which controls linguistic function, and which is constantly interfering with labels of things, rather than the thing itself. Many of us are habituated to using the left hemisphere of our brains and when we look at the world we tend to see things by their names rather than by the space they occupy. So, for example, if I want to draw a good picture of a door I somehow have to suppress the left side of my brain from trying to label it (door, door frame, handle) and to draw on the right side of my brain in order to see the object that we use to move between rooms in terms of the space it occupies and the space surrounding it. To illustrate this process and to encourage us to get in touch with the right rather than the left hemisphere of our brains when drawing, Betty Edwards includes exercises in her book which prevent us from seeing in language, and encourage us to see in terms of space. 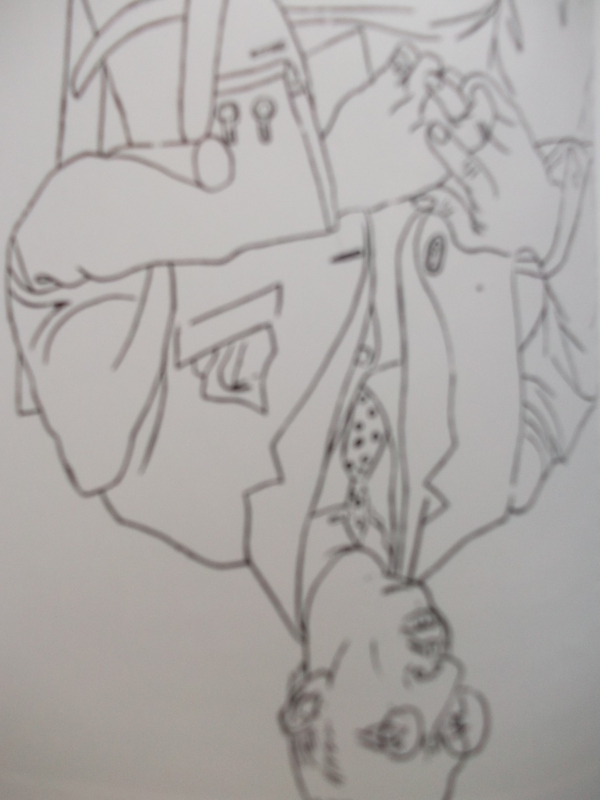 One example is a requirement to copy a Picasso line drawing of Igor Stravinsky, but to copy it with the book upside down. With the picture the wrong way up it is not easy to make linguistic sense of the lines: you cannot work out ‘hand’ or ‘elbow’ or any of the component parts of the figure. In this situation, you are obliged to look closely at the lines and the relationship of the lines to each other, in order to reproduce the drawing in terms of perspective and space. Although skeptical I went ahead with the experience and was amazed at the result. This was some years ago now and I have lost the drawing I made. However, I remember that it was a transforming moment for me: from that point on I stopped thinking about myself as someone who could not draw. More importantly, however, it changed the way in which I looked at the world. After that, I tried to look at the world visually as well as linguistically, and to actively draw on my visual brain when working on a poem and searching for unusual images. Although I doubt I would ever arrive anywhere as fresh and unusual as some of Dylan’s metaphors, I like to think that I sometimes manage to turn down the interfering left hemisphere of my brain which would shout ‘leaf’ before the right hemisphere had seen ‘hair’. Where this brings me to is a new way of thinking about poetry and autism. For all his lack of language and ‘impaired’ communication, Dylan is in many senses a true poet. His heightened senses and apparent emphasis on right-brain rather than left-brain processes combine to produce a unique way of seeing the world. His vision is free of the social and linguistic categories we impose on what we see and which are imposed on us. When Dylan communicates what he sees, the images he offers are as startling and fresh as those of any poet. There is a lot a poet could learn from Dylan’s use of metaphor and his engagement with the senses. That’s Dylan Ariel. Not Bob or Thomas. 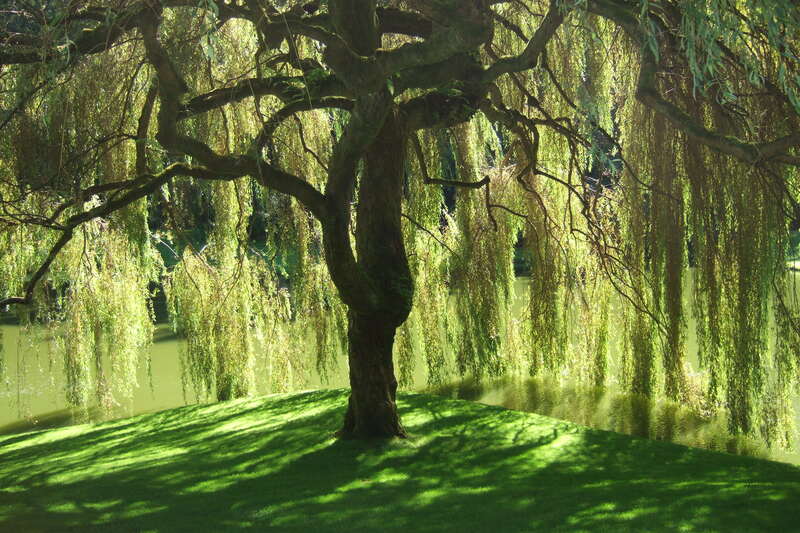 Sources for willow images unknown but appreciated. When I took the test myself the results suggested that I draw fairly equally on my left and right hemispheres, with a slight bias to the left side (53% left and 47% right). Quite a bit of the test can be done without language in that it requires responses to colour and pattern. I had the idea that Dylan might be able to do it so let him have a go. I only intervened to read the instructions for questions which required an action (e.g. ‘cross your arms’) and to observe Dylan and record the results. The results of Dylan’s test suggested a clear preference for the right hemisphere: 81% right side of the brain, only 19% left. Of course this doesn’t ‘prove’ anything: the test could be unreliable; the conditions in which I administered it could be unfair; and Dylan’s capacity to engage with it could be limited. However, the results are broadly as I’d expect if some of the ideas I rehearsed in this post have any foundation. Do take the test: it’s fun! See also my post musing on left-handedness and autism here. I came to the same conclusion when my son was 3 years old, because of the same book. I used the right brain exercises myself, and to the children I taught art. I know in my heart exactly what you are saying. This is a beautiful serendipity. I just got done reading, yesterday, The Fabric of the Mind, by Richard Bergland. It is his work that Betty Edwards borrowed from for her ideas. The book was written in 1985. Dr. Jon Brock of Australia is currently doing a study with the right brain in autism. I know the study is in process. I imagine you know this, as he linked to this beautiful post on Facebook. I feel so vindicated. I love you. I’ve known of Dr. Brock (I really don’t know him, but I do read his blog) for a couple of years. He is very open to learning about autism from autistics and parents…He seems to be very kind. I don’t understand much of the studies, but the book by Dr. Bergland was interesting. More of a history of brain science, and then he believes hormones direct our thoughts. But he was BIG on right brain. I loved those exercises in Betty Edwards book! It was so amazing to see what kids would do before and after, when they shut off their tyrannical left brain. Thank you for this post. I have one more thing to tell you, maybe as important or more than any of the other. Just recently I came across this TED talk, again…Dr. Jill Bolte Taylor had an embolism in her left brain, which, for all practical purposes destroyed it and she is lucky to be alive. She is a brain researcher, and she was able to watch her own left brain shut down….well, it will just take a few minutes to watch. At around 14 minutes she starts talking about her full fledged entrance into her right brain. I couldn’t help but think, possibly, what it might feel like to be severely autistic. I thought this only because of the right brain idea I’ve held for 15 years. My son is very mild and has always had language, but he has his own beauty. I love your trees hair. It was the pictures that drew me in! Spanish Moss grows on trees down by the ocean in the southern United States. It is gorgeous! Dear ‘usethebrainsgodgiveyou’ – thanks so much for this link. I’ve just watched it. Very thought-provoking and interesting and I can see the links between my reflections on right-left hemispheres and Bolte Taylor’s reflections on her experience. It all makes a kind of sense to me. The implications are significant. Like you, I had that thought while watching the clip of ‘so this might be what it’s like if you’re autistic’. If it is even partly like that for Dylan there’s no wonder so many of the demands life makes on him are difficult. Bolte Taylor’s comments about time interested me – the idea that past and future is left brain. That makes sense to me so far, as I don’t think D has a sense of history or timeline at all. But he does have an extraordinary memory. The possibility that he has this amazing memory but with no sense of time could perhaps explain his idiosyncratic storage and retrieval or memories – he can’t file these memories on a time line perhaps, because of lack of left brain processing, but he still has all of these ‘pictures’ which his right brain captures. Fascinating stuff. Thank you! Liz p.s. those trees by the ocean sound gorgeous! You’re so kind to type my name out…It’s in memory of my Dad, who used to tell me that all the time. Seems I’m a bit scattered…my name is Rose. I’m so glad you enjoyed the video!! Hi Rose – that’s a nice way of remembering your Dad. Coincidentally my osteopath mentioned the Bolte Taylor video when I saw her today – it’s so strange when that happens – you encounter something for the first time then almost immediately afterwards a second mention! Higashida, Naoki (2013-08-27). The Reason I Jump: The Inner Voice of a Thirteen-Year-Old Boy with Autism (pp. 23-24). Random House Publishing Group. Kindle Edition. Another serendipitous moment. I know he (Higashida) brings up his memories more than this once on page 22 or so…but when I read this I thought of what you had said about Dylan earlier. @Dudeimanaspie on twitter had brought up this book yesterday, so I bought the kindle and read it. ($10 in America). I realize you are very busy. But it is a short book, relatively. It was translated from Japanese. I couldn’t read this all, because there are too many words, and that’s difficult for me. But as a verbal autistic adult, I want to challenge something in this… but not what you have said, what I have read (and I’ll read it over until I get through it) is that autistic people don’t like metaphor… as reported to you by autistic people. I find that self reporting by autistics to be problematic. Mostly because they’ve not actually studied language much. I know a few autistics with degrees in English/Linguistics and the like… some who are creative writers, and even a poet or two. I discovered language as something interesting when I was finally given complex poetry and expected to present an exegesis. Easy as pie. And funner than anything. I never stopped. And I started writing poems. One year I wrote 400 poems… was doing 1 a day for a long while. In any format. And they’re good… if my 3 degrees in English and PhD in education give me any sense as to what is good. That said, no one likes them. No neurotypical people like them. They can’t get them. The metaphors overwhelm them or don’t strike a chord with them or whatever. From average people and from professional poets with international recognition. Same when I compose music… it just upsets, scares or baffles them. Luckily I do it for me. And I don’t talk to people about my music or poetry. I just shut down. Most people would say that I’m ‘non-verbal’ in these contexts. I feel that there are lots of reasons why some Autistic people may be non-verbal, but one thing I’ve noticed is that for some the language just doesn’t make sense OR it is not a meaningful form of communication, or even if one does communicate with it those one may be communicating with just don’t get it. Three degrees in English have allowed me to communicate to non-autistics fairly well, and the fact that I like and am curious about people helps. p.s. Skin trade is great. I don’t read Dylan T so much now but had to study him at school and have many fave poems. Oh, next thought… listening to Autistics. Most people think i’m funny for my ‘coinage’ and my sing-song approach to anything. ippy sounds great, because H is a mostly useless letter. Unless you’re into alliteration. I like to use alliteration. I love writing titles for papers. I am always reciting song lyrics. There is only imagery I sometimes think. Love it! I would take the hair over the leaves too. 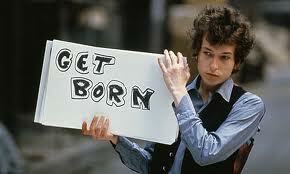 I’m not sure whether I have learned a more physical language from Dylan or whether I already had it. Probably a bit of both but I’m sure living with Dylan has influenced my way of knowing about the world. I really like your observation that maybe some people with autism stay in the world of the child. I sometimes think that about my son. I love your comment that H is a mostly useless letter. I am going to think about whether I could tolerate life without H.
Beautifully written, Liz. Illuminating. So much to contemplate. Despite my short ‘sentences’ to the contrary, I am a bit of a pedant around language. I am also a Very visual person and, likewise, was drawn in by the photo of the tree. It Has to be hair! I so agree! There’s something about the drooping limbs and leaves of these trees that necessitates this description. 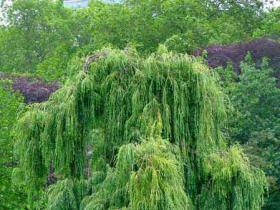 Without being a horticulturalist, the word ‘tree” cannot possibly encapsulate every type of tree there is. There are so many more descriptors that lie in our hearts than mere words can express. Hello, everyone. I was going to include this post among my links today, but as I reread it, I realised I want to reblog the whole. The post is a wonderful essay, by Liz, who writes about her experiences living with her autistic son, Dylan. This particular post is titled ‘My Trees Have Grown Hair: The Poetry of Autism’ and speaks to Liz’ realisations and perceptions about language because of Dylan. Thank you to Misky, who sent it to me to read. I shall see you all tomorrow. Happy writing. Thank you to Misky, who sent it to me to read. Hi Margo – I just wanted to say hello and thank you for reading my blog and passing on to your friends – I think a few visitors to this post have come via you so many thanks. I love that dateline about your being in Atlanta listening to Macca when you commented on my post! It was my pleasure, Liz. I’m glad that several of my friends have stopped by. They have all told me how much they appreciate your post. I look forward to reading more from you and Dylan. If you have not read, The Impossible Cure, by Amy Lansky you might find it interesting. I found this post through Margo Roby. I am a poet and an autistic adult. I was diagnosed with Asperger Syndrome three years ago. I’m 37 now. Prior to this I lived for 34 years knowing that I perceived the world differently and in unexpected ways but I thought that I was the only one who did. I found myself silently nodding in agreement with a great deal of what you said about how your son uses language. For me, writing poetry is an act of translation from the visual to the verbal. I’m not surprised that Dylan would perceive trees as growing hair or that he’d see the image of the fire in the sign you described. Sometimes it’s difficult to find the words that convey the images I see as exactly as I like — often my challenge is to convey the detail (what I would like the reader to see) without sacrificing the emotions inherent in my perception. But I love metaphor, and I love constructing metaphor. We’re often branded as being literal and linear — and there may be some truth to that, SOMETIMES — but this is not always the case. I’m sure you’re come across this saying which is pretty common in the autism community: “If you’ve met one autistic person, you’ve met one autistic person”. My heart was gladdened when I read your post about Dylan, and it reminded me of my own quest to communicate. I invite you to visit my poetry blog and read some of my work sometime. I’m going to reblog this. This is amazing and more people need to understand that we are not limited in how we communicate. Hello Liz: I’m happy to share my experiences and thoughts. I figure that the more I do this, the more I offer a window into myself to help promote understanding and acceptance insofar as autism is concerned. Yes, emotions are a pretty big thing and can be overwhelming at times. With overwhelming negative emotions — mostly I speak of fear and anger here — I feel like I lose my way in terms of objectively perceiving reality — like I don’t know which way is up. When it comes to poetry, however, I see things both in pretty rich detail and with emotional color. The challenge for me is not to get too engrossed in describing the details to the point of losing the emotion — and losing the reader in a labyrinth with an excessive amount of detail. Hello again Nicole- thank you for sharing and I’m sure this sort of courage in opening ourselves up can make a difference, as you suggest, in terms of helping to build awareness and understanding. I really like the way you describe poetry as giving you both the detail and the emotional colour. I have often thought that poetry gives me a helpful framework for talking about the most difficult things. If I didn’t do it through a poem, I sometimes think, it would just splurge out and become confused and too emotional – having the infrastructure of a poem helps me to contain the emotion more, and to balance it with the detail and some detachment. I find this really helpful – not just writing about Dylan but in my poetry more generally. I also think there is something about poetry that is primal and lodged somewhere deep in us, so potentially has the power to heal. Your poetry network seems great – very supportive and rich – I am very glad to have it in my life! 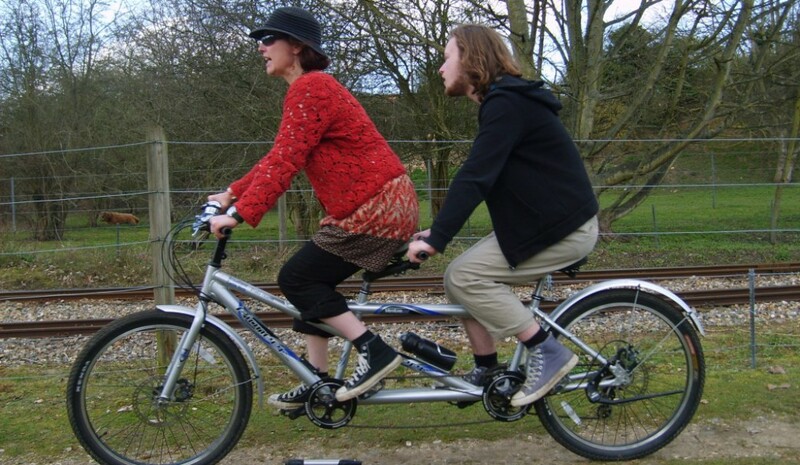 Liz’s post about how her non-verbal autistic son Dylan reminded me of the variety of ways in which we use language, and the variety of ways in which autistic people, myself included, perceive the world around us. I leaped for joy upon reading this. The Poetry of Autism? You bet! yes yes, I’ve much valued the nature and fresh breath of your description, hair on a tree and what might become lost within a given name. a name that, symbolic we say, takes the place of the actual experience. it has been said, this other way, that by language everything we say is inherently a lie, one step or more distant from the initial sense experience. that language points, suggests, at best hints at what we really mean – and we need keep conscious of that ourselves, rather than as you wonder, does it get sidelined in our memory vocabulary, looking in rather than outwardly. it is of course – the necessary price – we must accept to attempt expressing, communicating our experience to another person. sometimes even if that other person is ourself. so do we misplace, lose the hair on the trees? maybe not. but we need surrender our language laziness, to think the words are the end of the path of listening. as we might look at a tree, see green hair, we need listen for the non-verbal meaning beneath the words – see and experience the person speaking with us, just as if they were (a tree) we’d never seen before. maybe then we get closer to full-bodied experience. it takes a devotion of attention to honestly observe. as someone said, there are no vacations away from the merit of wakefulness. as a writer (poems mostly) I sometimes try to go against the grain of common language use, albeit slight or unexpected, and that’s the point – to draw a pause, change the breath, realize that words may mean something yet unknown, that the discovery process is continuous and we should remain awake to savor the possibilities. else miss the message right in front of us. me, I think poetry is the native language of world and experience. certainly your son could well be said to see with poetic eyes. maybe hair on trees is closer to the truth than leaves? thank you thank you for your beautiful and sensitive observations. we don’t need to make rules of how we, any of us, are supposed to see and understand and express. maybe that’s even why there are so many of us? so, all said in abundant variety, we more closely approach the truth of creation. us included. and thanks to Nicole for leading me here. Hello Neil – thank you for reading my post and for your thoughtful comment. I agree with you about language taking us a step away from the experience itself. That’s an interesting challenge for a poet – trying to find the word that gets as close as possible to the actual experience, but with newness – I suppose that’s why we focus so much on the senses and the concrete rather than the abstract. I like your use of the concept of ‘wakefulness’. I sometimes think of my son as having an alertness to experience because he isn’t distracted by language. I am constantly amazed by how quickly and precisely he can scan a room and take everything in – nothing gets past him! I agree with you too about ‘going against the grain’ and finding the unexpected. I sometimes try to deliberately misread my handwritten notes in case I find something fresh and transforming. The post was really a gift from Dylan but thank you for kind comments – I’m very glad you enjoyed it. thanks Nicole for leading me here. I hope someone else will thank me here, my turn sharing this post. much worth listening from what this mother and writer has to say. Liz, I found your post (and comments) both moving and enlightening. I am not autistic (as far as I know), I have never lacked language in the academic sense but learned early on that anything not literal is lie; as well, anything not perceived by an adult as literal or (perhaps more importantly) ‘true,’ is lie. To be heard as if one is speaking truth is so important for a child’s development, for her or his ability to function in what often seems an alien world. To truly hear what someone else is saying is to acknowledge that there are worlds beyond the “this world” that we as adults have come (or been socialized) to believe is the definitive real world. What is the point of a language that denies its speakers the right to express the world they as individuals see, in a way that makes sense of it to them? I fear we as humans still have a long way to go before we break away from the simple mechanics of being human and become… humane. I have always known there are trees that grow hair. I have finally given myself permission to say it out loud.